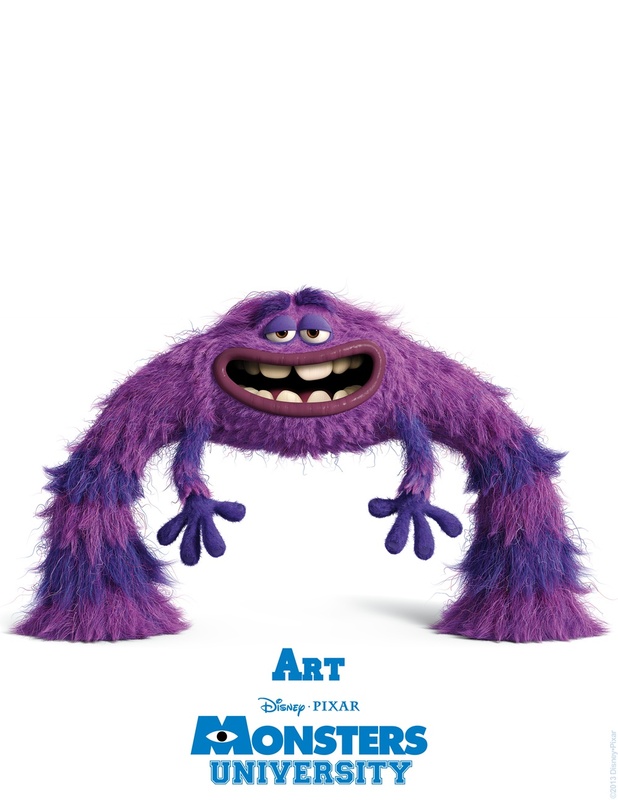 Monsters, Inc. was only the fourth feature film to come out of Pixar. Almost twelve years later, the studio is set to release the prequel, Monsters University. In that time period, animation technology has evolved, and allows for far more detail to appear on the big screen than ever before. The Monsters prequel, which takes place on a campus, will have hundreds of characters share the screen, making for an expansive cast. Today, we have posters and details for twelve of those characters, along with the actors who will be voicing them. Enjoy information overload after the break! Fraternities and sororities can often have a major impact on student life, especially if those joining are far away from home. There is a reason why group members come to call each other brothers and sisters – pledges can develop close bonds with one another that are of immense help through college and afterwards. Given that Monsters University has been described as a “college movie,” it comes with little surprise that the college groups will play a major role in the upcoming film. 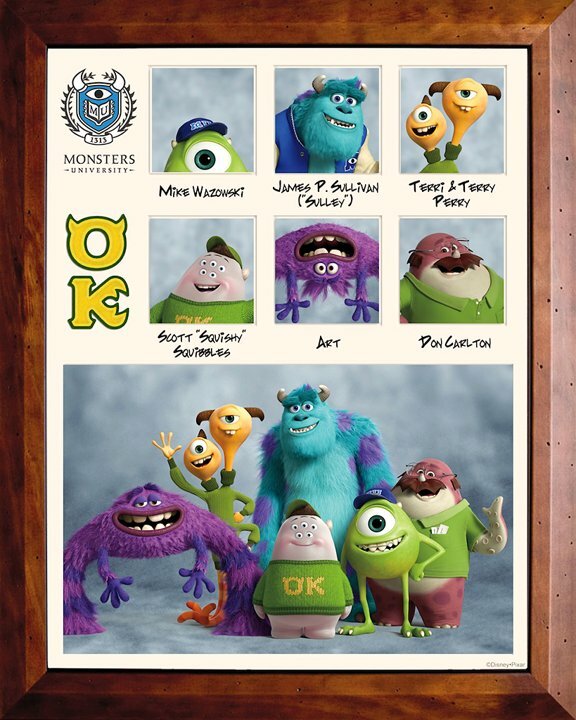 After the break, find details and images on all the fraternities and sororities of Monsters University! 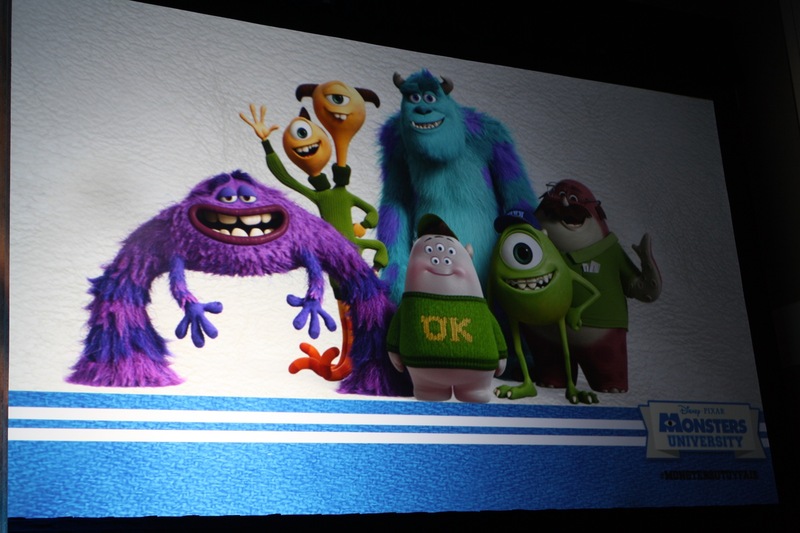 During last week’s Toy Fair presentation, Monsters University director Dan Scanlon and producer Kori Rae unveiled several new characters that made up the fraternity that Mike and Sulley would join, Oozma Kappa. While we captured some pictures of the characters, we have been awaiting hi-res images that we could share with you. A slew of new character posters were released earlier today, which you can take a closer look at after the break!